Zentangle ® is a method created by two american artists, in 2005. This drawing technique is based on abstract, simple patterns repeated, sometime inspired by nature. We search more the global harmony than the symmetry. And most of all, the importance is given on the creative process, more than on the result. These patterns can be used, mixed, but always integrated within delimited zones. These zones can be also abstracts, or part of bigger drawings (eg. animals, flowers, landscapes …). It’s different from coloring because with Zentangle ® YOU create YOUR illustration … you do more than coloring a existing drawing. Some are afraid to draw by themselves, but really … Zentangle ® is a technique ACCESSIBLE for everyone, even if you are not a good drawer. 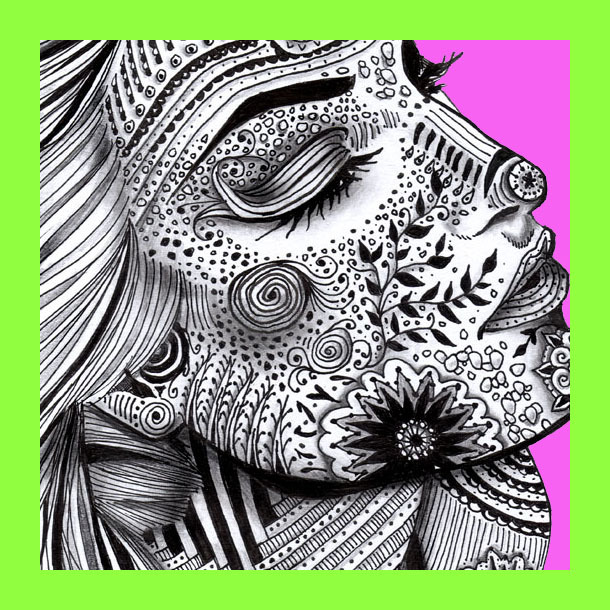 In this section, you will learn step by step to draw incredible illustrations using the Zentangle method. Drawing basics : First : learn the basics of drawing ! Praesent quis Phasellus sit porta. dolor.